This easy-to-install product from Mega Power cleans 6 engine systems and every motor needs this service every 2 years. Doing so with Mega Power ends dirty EGR Code problems, ends smelly exhaust, lowers emissions below 5 gas specs. Yes, its true the EGR valve needs replacement if plug up with carbon. A new one will not end your rough idle, nor stalling, ping, or power loss. But Mega Power will - and is what restores your motors like-new smoothness and power in minutes. and lowers emissions to minimum inspection limits. Order now by phone. EGR problem solving. Limit the tons of poisonous chemicals spewed in the the air with this service product from Mega Power. EGR problem solving: Call now if on a smartphone, to ask a question or order items listed. at 512 665 3388 ...George. 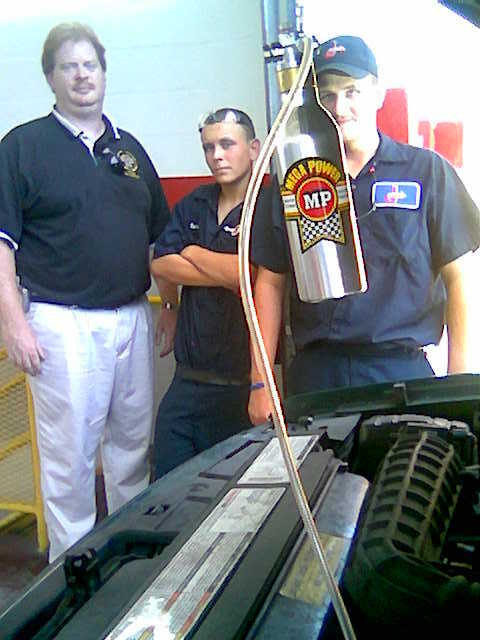 The secret of making a better pay check for some mechanic's is due to the policy to include the customer-pleasing Mega Power EGR FISC Service by these many mechanics in-the-know. What do they know? They know of Mega Power's instant engine performance improving features no other product has - is what they know - and so should you! Service shown above. The extra income part is due to their including the use of the Mega Power Engine FISC Service whenever a code repair or engine service is needed on a customer's engine. You can perform all those services for $200 with Mega Power and have a happier customer and a handsome profit to make your wife happier - when she sees the boost in your weekly income. 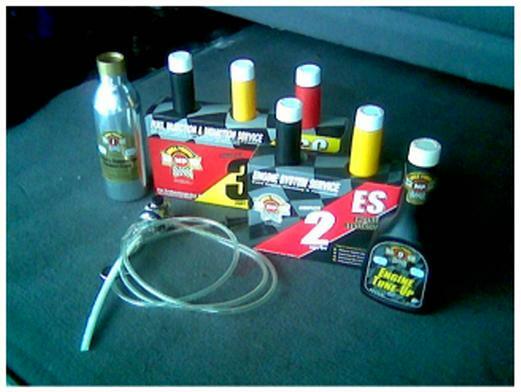 - Shown above is the best, the quickest-acting service product found to end the 6 causes of EGR problems. And this engine revitalizer removes friction and residue performance deterring problems all vehicles experience, also! Me and thousands of mechanics love Mega Power for its tap and engine noise quieting advantages. So will your customers! Mega Power provides more power with not one conditioner, but 2 conditioners to end horsepower sapping friction, and by smoothing wear roughen surfaces. Mega Power provides engine fuel system, Fuel-injector, air-intake, idle, valves-&-valve-lifter, piston-ring, EGR, PCV, and catalytic converter cleaning! This restoring of your motors like-new smoothness, power. Ends its smelly exhaust, tap and engine noise, more power, and conditioners to end horsepower sapping friction. To limit the tons of poisonous chemicals spewed in the the air every gas and diesel powered engine makes each year, an add-on set of devices have been added to your motor. When dirty - these "emission control devices go wha-co. They upset the tuning of the motor. The EGR sub-system is often part of the problem. It is an important part of your cars pollution reducing emission system. When the EGR is dirty, it triggers the "check engine lite" to flash on your dash - and make the car run lousy. Creates smelly exhaust, rough idle, stalling, ping, power loss, and can cut your remaining motor life in half. That's the problem and Mega Power's FISC EGR problem solving tuneup and Engine Service R3 end those problems, in this way. Mega Power is the secret of many mechanics in-the-know of how to make the engine run better than anyone else! 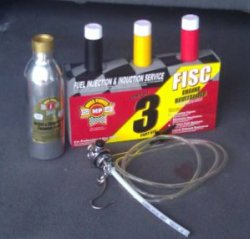 Include the Mega Power FISC product - shown below in your tune up and code solving expertise. It is the best, quickest-acting set of products to end the 6 causes of EGR and related performance deterring problems all vehicles experience. What you should know. Every day, car owners and mechanics praise the FISC EGR problem solving product, and its companion twin, the Mega Power ES3, to end their motor problems. A mechanic will hand clean any plugged-up EGR piping. The products shown will clean the dozens of other sticky, top side, bottom side motor parts and areas. This includes the combustion area, emission system, fuel system, oiling system, catalytic converter, and EGR system. That is what helps the motor breath properly again. During the EGR service, Mega Power products are installed to also clean dirty pistons, rings, valves, lifters and valve stems, and EGR recirculating problem areas. A top and bottom cleaning aid that works wherever fuel, air, combustion, emissions, oil, and exhaust go. Most mechanics just clean the ERG valve and forget the rest. However, it takes Mega Power to restore your motors like-new zip, power, and quiet smoothness - if you want to clean and protect every part of the motor, extend its life. This is the best, cheapest way to end your High-Tech car problem. Together, their combined egr problem solving advantages end a variety of combustion, oil breakdown, wear and tear, and friction-caused problems; for about $100, plus $50+ labor - if a mechanic does it for you. This product may be a better choice to end your problem than paying $2000 to take apart your motor, hand-clean its many dozens of affected parts, to end your problem. Which is the common fix, for some car owners. The colors and names designate the products ingredients and usage. The silver device is a mechanics "feeder tool" that speeds up the install one of the yellow products. Not needed, if you do just one or two cars. Feeder tool cost $125. Rental $25. For details of the two steps and advantages gain to have your customers and your cars running better than ever, spend a few minutes learning how this new product can help you avoid come-backs while earning thousands more in extra profit - installing this EGR problem solving cleaner.